This handcrafted, custom bench will be built and permanently installed along the edge of Steamboat Creek to celebrate and commemorate the recent successful passage of the public lands bill that includes The Frank and Jeanne Moore Wild Steelhead Sanctuary. Frank and Jeanne have inspired so many people, including Rusty Lininger, co-founder of Source One Serenity. 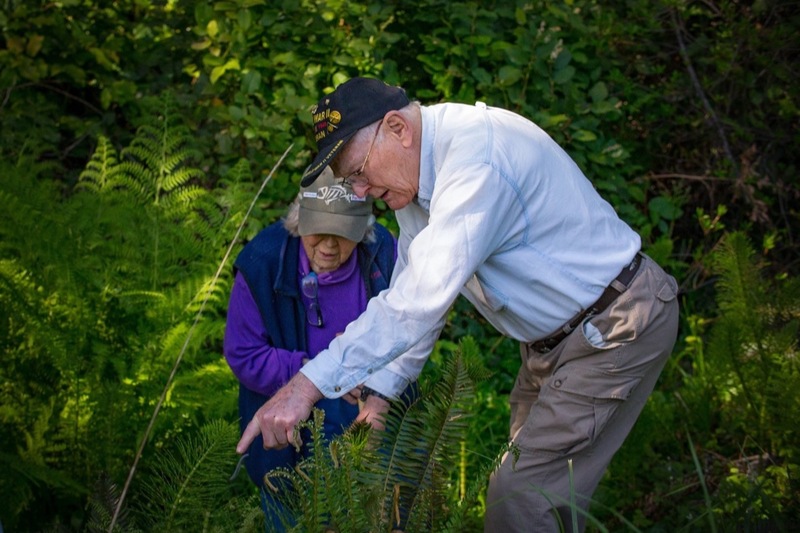 Together with other veterans, Rusty is constructing this beautiful wooden bench to honor the decades that Frank and Jeanne have dedicated in advocacy and stewardship for the North Umpqua, providing a natural sanctuary for wildlife as well as people. We are collaborating with the US Forest Service to identify an appropriate location for the bench installation. 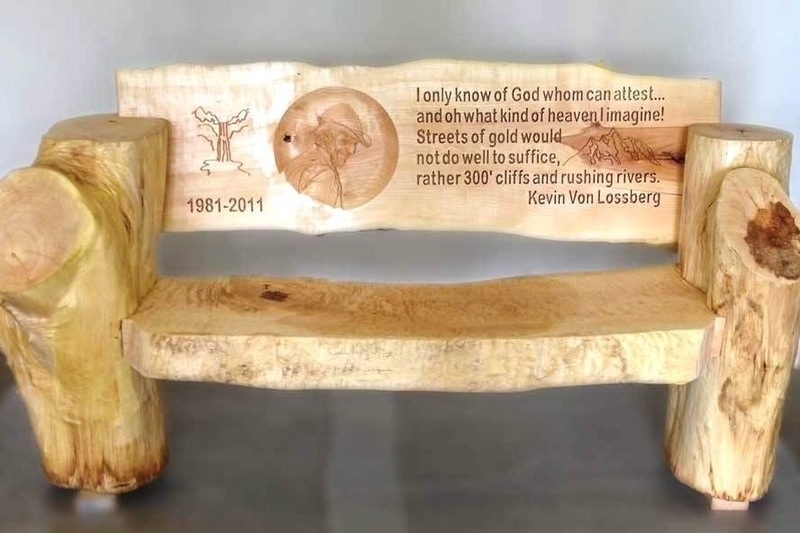 This campaign was created to support the craft and installation of this bench, in lasting tribute to Frank and Jeanne, and as a functional place of rest and respite for everyone who takes pause along Steamboat Creek. Any amount raised over the goal will be retained by Source One Serenity for immersive outdoors programming for veterans. Rusty Lininger is a combat veteran with PTSD who found healing by fly-fishing along the North Umpqua River, much like the healing that Frank found when he returned from WWII. 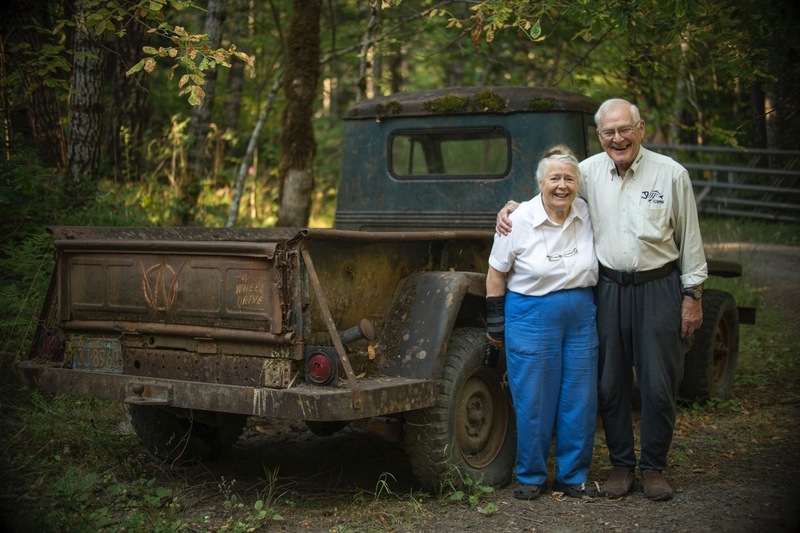 Rusty and his wife Elena co-founded the non-profit Source One Serenity to give other trauma-affected veterans a purpose and a place for healing though outdoor activities and land stewardship in the North Umpqua and Steamboat watershed. Rusty is a talented woodworker and together with other vets, he is handcrafting a durable, functional, and beautiful bench that embodies the spirit of Frank and Jeanne, and that will integrate with the landscape that is now named in their honor. Wow! Because of your shares and donations, we were able to meet our minimum fundraising goal in under 48 hours! Thank you! A group of veterans with Source One Serenity is already underway with the design and hand crafting of the bench. Rusty Lininger shared with me a photo example that is guiding some of the creative inspiration...to be clear, this is not THE bench, but an example of style and construction. We'll post images of the work in progress as we can! Thank you for the amazing support of this effort right out of the gate! 24 hours in and we are already about half way to the goal of funding the construction and installation of this beautiful bench in honor of the Frank and Jeanne Moore Wild Steelhead Sanctuary! Your donations are so appreciated, and sharing this campaign link with specific friends of Frank and Jeanne is extremely helpful.